We love to read great books. And we love to eat. And we even enjoy the occasional delicious cocktail or glass of wine. So why not put it all together in one terrific evening out. And "An Appetite for Reading Book Club" was hatched. With the help of Dave and Mandy at Wordsworth Books, we choose books that we love and, just like any other book club, you read it before the meeting. Unlike many book clubs, the authors come to our meeting to share their experiences with everyone in the book club. You can ask them questions about the characters, about the writing process, about their research, pretty much anything you want. for dinner, we partner with a hip and fun local restaurant. Ryan and Carly at public kitchen and bar have hosted a number of gatherings and recently, nick and nat at uptown 21 in waterloo have joined the group. at any of the venues, you can count on a terrific menu of small plates for dinner and, of course, something delicious to sip. We are curating this club because of our love for books, authors and this community. Any "profit" we may make goes to literary endeavours in the community and an honorarium for the author. So join us at our next meeting. Great literature. Great food. Great people. Promise. PUBLIC is a funky little restaurant serving up delicious tapas in the heart of Kitchener / Waterloo. Tapas are not "all you can eat" or buffet-style — all of our dishes are priced individually and are prepared fresh to order. Public's meats, fruits, and veggies are locally sourced from farmers we have come to know and trust through our combined experience in the restaurant industry. Nick and Nat's uptown 21 has been a fixture in the uptown waterloo dining scene for over eight years. they work with local producers, farmers & brewers to celebrate the bounty that Waterloo Region has to offer. in the last year, nick and nat have taken that same vibe and re-imagined it - offering their space and services for private receptions, dinners, corporate gatherings and meetings. 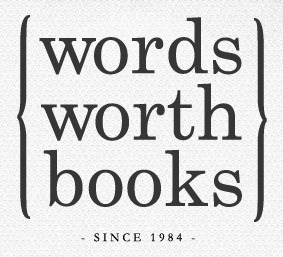 Words Worth Books has been at the heart of vibrant Uptown Waterloo for almost 30 years. Not only is the store a valuable resource for procuring hard-to-find, quality books and magazines of all descriptions, but it provides the region with a thriving cultural drop- in centre for arts and literature-related community events.